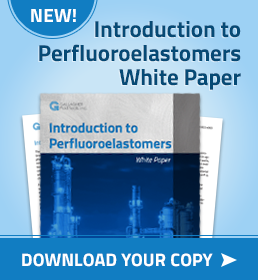 elastomeric Archives - Gallagher Fluid Seals, Inc.
Gallagher Fluid Seals recently added the Rubber Expansion Joint Surveys & Failure Analysis white paper to our Resources page. 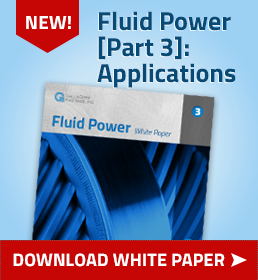 This white paper discusses the importance of inspecting your plant’s expansion joints. Proper design and maintenance of rubber expansion joints plays a major role in the overall preservation and lifespan of a piping system. 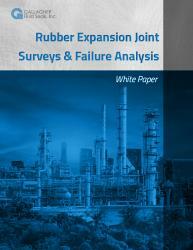 It will also discuss failure analysis of rubber expansion joints and some of the leading causes of joint failure. 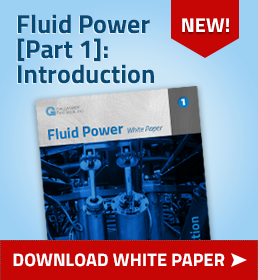 Below is an except from the white paper, discussing failure analysis of rubber expansion joints, and what it can tell you about the overall health of your piping system. Arch inversion indicating a system vacuum that has exceeded the joint’s specified expansion value. Cracking at the base of the arch, which indicates the joint has been over-elongated and should be replaced with one of the proper length. Ply separation on the outside of the cover. This is an indication the joint has been subjected to excessive movement. Leakage due to over-expansion, mating flange surface issues, or poor installation practices, especially (but not limited to) bolt tightness. Ballooning of arch, which indicates excessive system pressure. How Important are Expansion Joint Surveys? Below is an except from the white paper, discussing design and maintenance of rubber expansion joints, as well as the importance of expansion joint surveys. Elastomeric expansion joints are fabricated from natural or synthetic rubber and fabric, normally consisting of an inner elastomeric tube fused to a metal-reinforced fabric body and an elastomeric cover. These expansion joints accomodate greater pipe movement and provide greater abrasion resistance than metal expansion joints. The proper design and maintenance of rubber (or elastomeric) expansion joints plays a major role in the overall preservation and lifespan of a piping system. 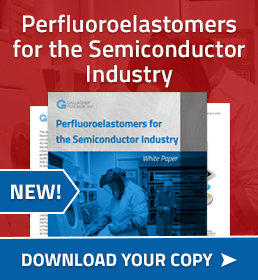 They absorb movement, relieve system strain due to thermal change, stress, pumping surges, wear, or settling, reduce mechanical noise, compensate for misalignment, and/or eliminate electrolysis between dissimilar metals. 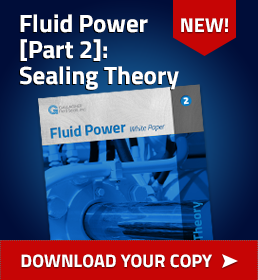 Poorly functioning joints can lead to major deterioration of the piping system’s integrity, creating safety and environmental issues in your plant and processes. Visible signs of wear and fatigue – including exterior surface cracking, blistering, deformation and delamination, exposure to metal or fabric reinforcement, ply separation of the cover, rubber deterioration, and leakage – can alert observant users to potential failure. 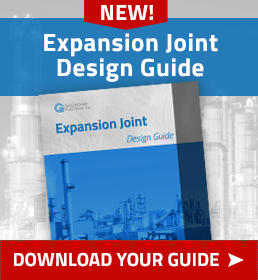 Gallagher recently released its Expansion Joint Design Guide, now available for download on our site. 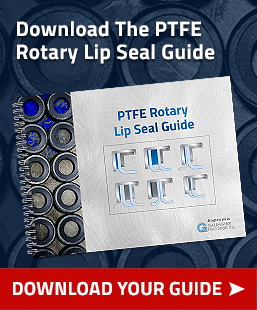 This design guide takes an in-depth look at elastomeric, metal, and flue duct expansion joints. The excerpt below is a section of our Expansion Joint Design Guide focusing on types of elastomeric joint installation, pipe layouts, and joint troubleshooting. 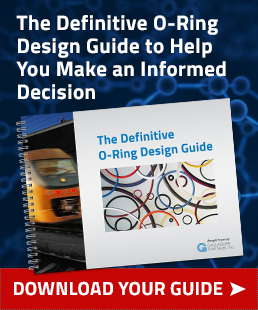 To download the entire guide, visit our Resources Page, or click on the image to the right. From the outside, an elastomeric expansion joint looks to simply be made out of molded rubber. Part of the reason expansion joints are used in such a wide variety of applications is that the interior construction of a joint can be custom-designed to handle your specific application – materials of construction will depend on size, temperature, application, media, pressure (S.T.A.M.P. ).